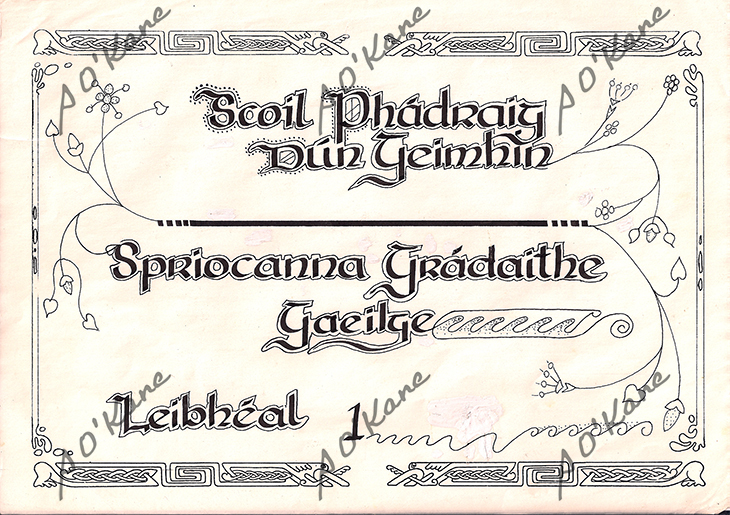 Examples of Seamus' artwork throughout the years. These images should be considered copyright of Seamus O'Kane, and permission should be asked before using any of these images. 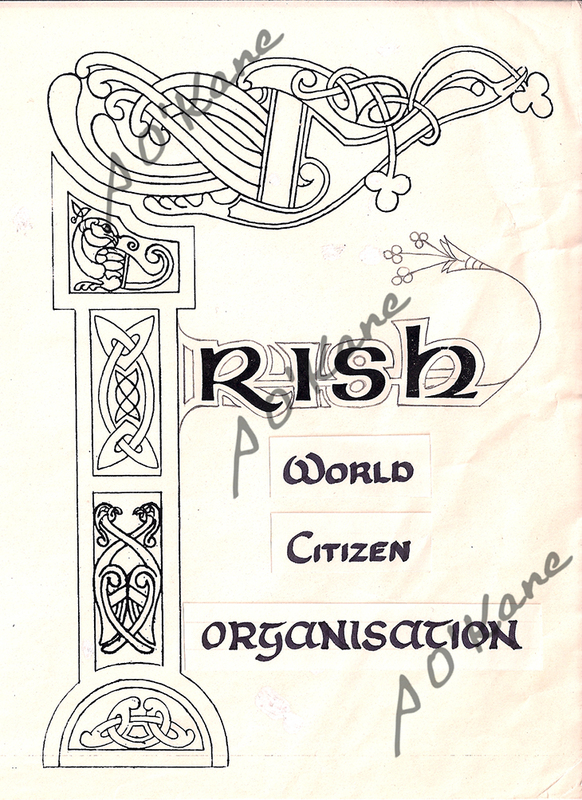 This is the original line drawing artwork, that Seamus O'Kane designed for the cover of the; "Irish World Citizen Organisation", in the early 80's. The bird from this artwork designed by Seamus O'Kane seems to be used by the The Irish World Heritage Centre, in Manchester as their logo, although they are unaware of the source, but it's best that they know, and give due credit to the designer, where it is displayed. 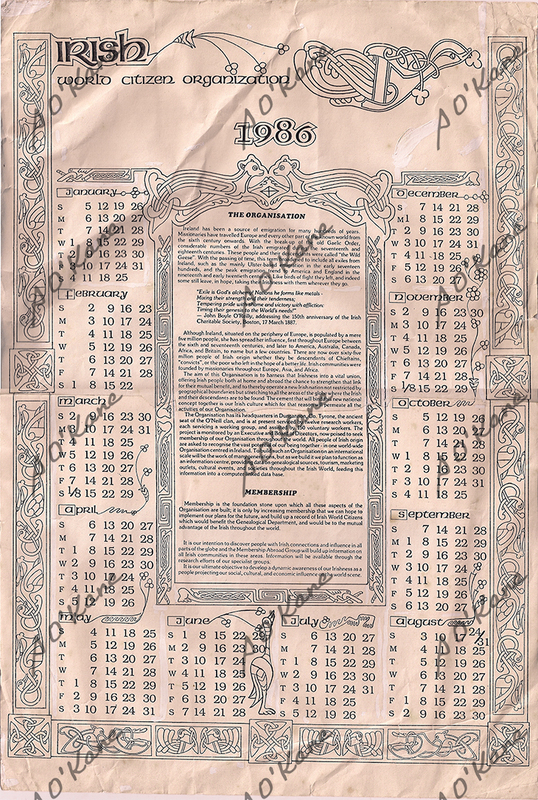 This intricate 1986 calendar was artwork designed by Seamus O'Kane for the Irish World Citizen Organisation. 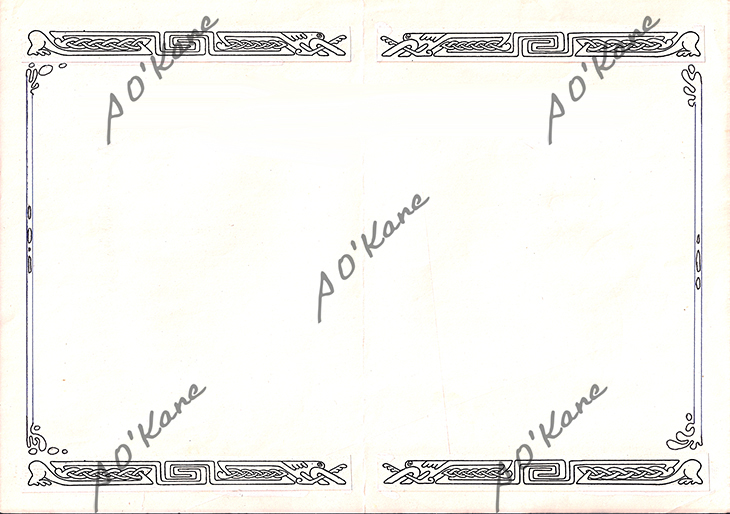 As with the above booklet cover design, the bird again from this artwork designed by Seamus O'Kane seems to be used by the The Irish World Heritage Centre, in Manchester as their logo, although they are unaware of the source, but it's best that they know, and give due credit to the designer, where it is displayed. 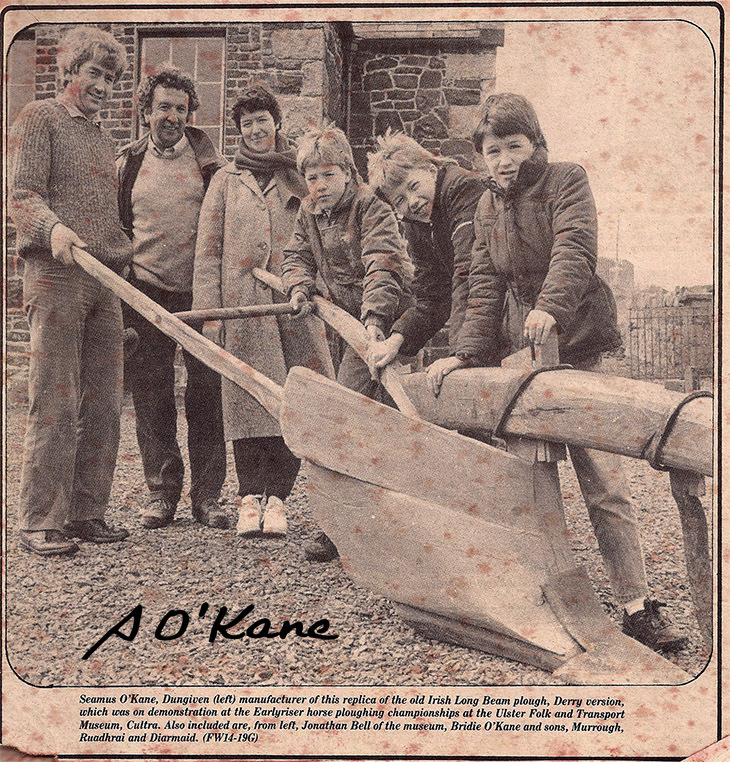 This artwork was designed by Seamus O'Kane for the cover of the graded objectives, level 1 in Irish for the school; St. Patrick's High School in Dungiven, in which Seamus taught all his teaching career, as a "Craft, Design and Technology" teacher, whose speciality area was woodwork. 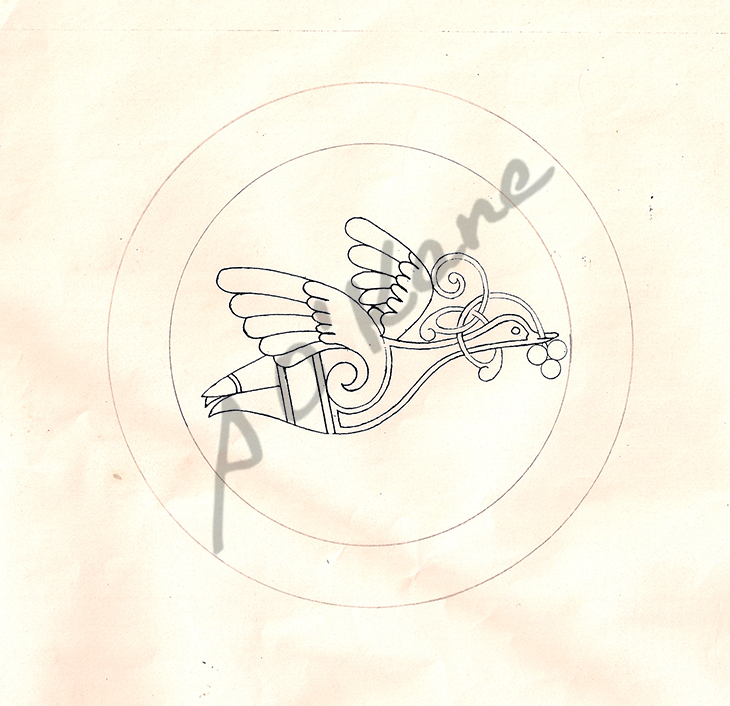 This artwork by Seamus O'Kane, depicts a bird in flight encapsulated in 2 circles. 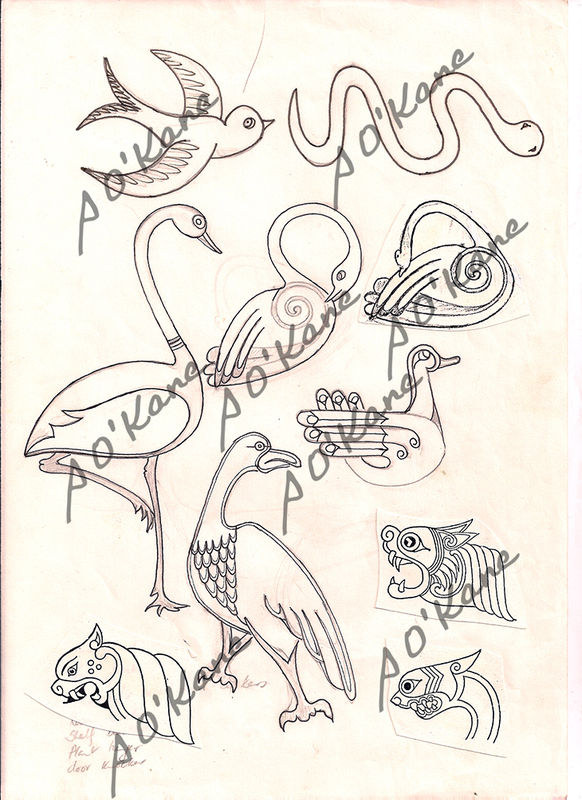 Birds, snakes and scary heads. 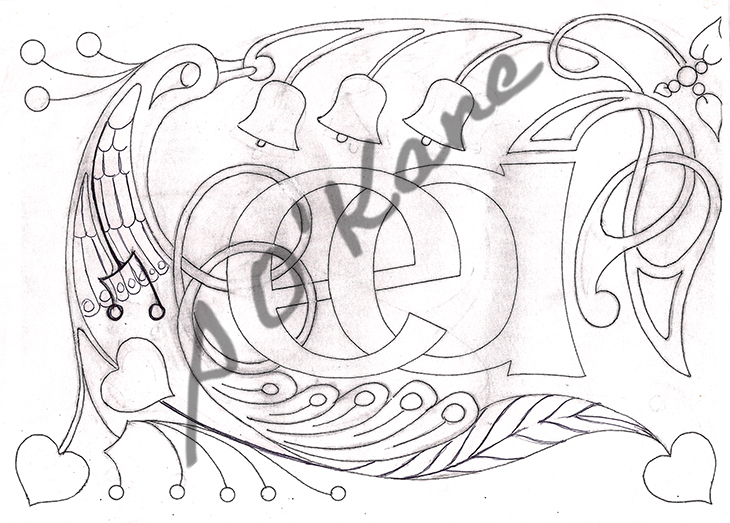 Interwoven celtic knotwork type artwork of the letters "m" and "s", designed by Seamus O'Kane. 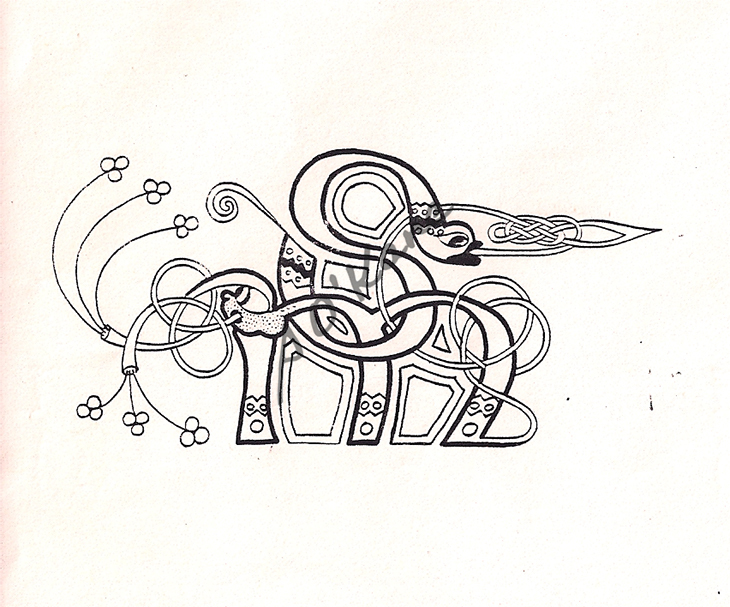 Interwoven ceeltic knotwork "e" and "a" artwork, designed by Seamus for Eoghan and Áine O'Brien, as a surprise wedding present. 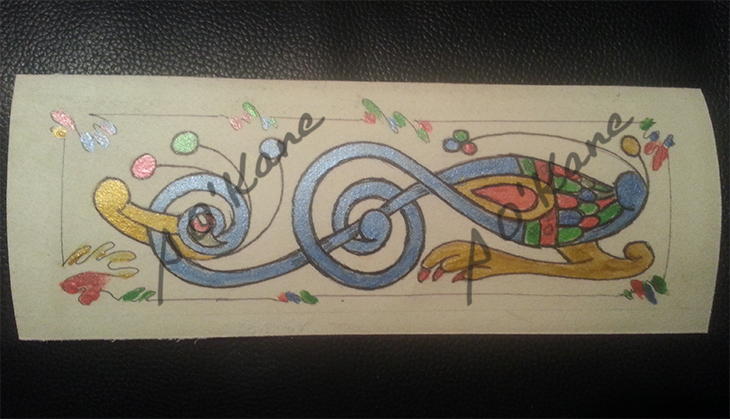 Celtic knotwork border by Seamus O'Kane. 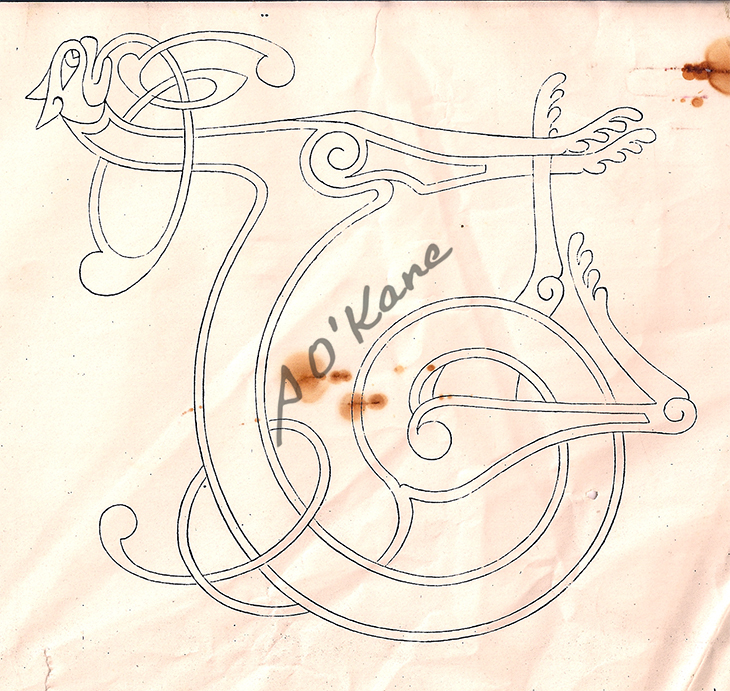 Celtic knotwork artwork by Seamus O'Kane. Designed for Jeremy Verdon, by Seamus O'Kane. 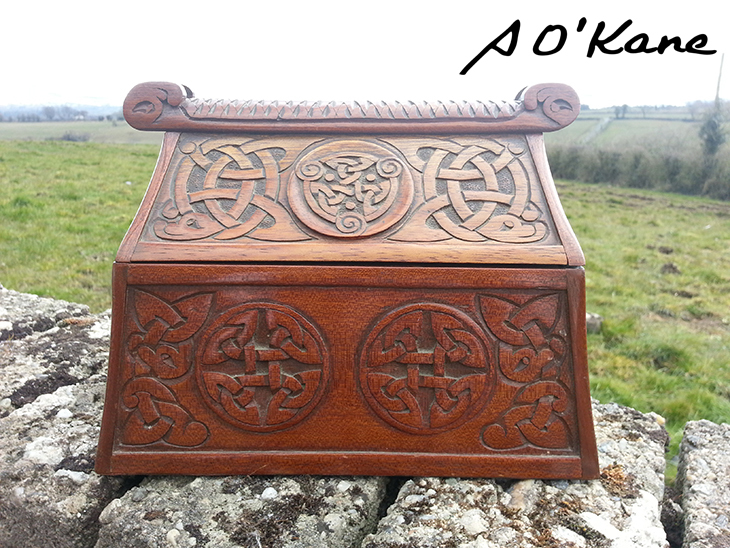 Jewellery box for Áine, carved by Seamus O'Kane. 1 of 8 photos. 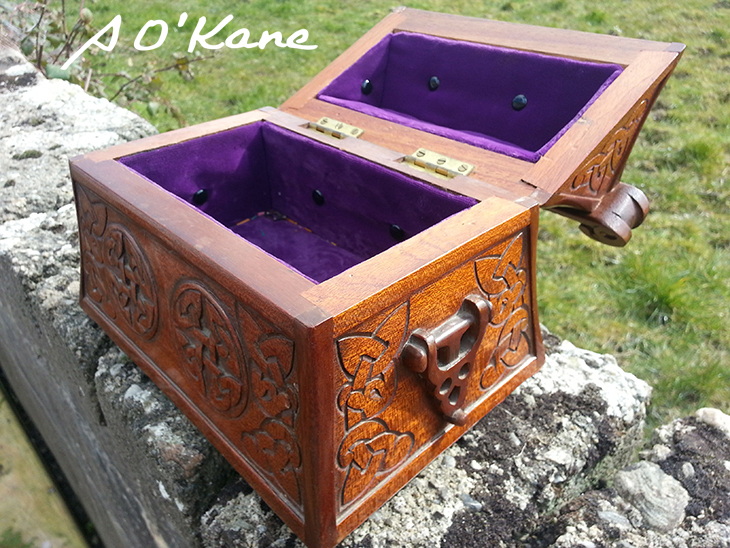 Jewellery box for Áine, carved by Seamus O'Kane. 2 of 8 photos. 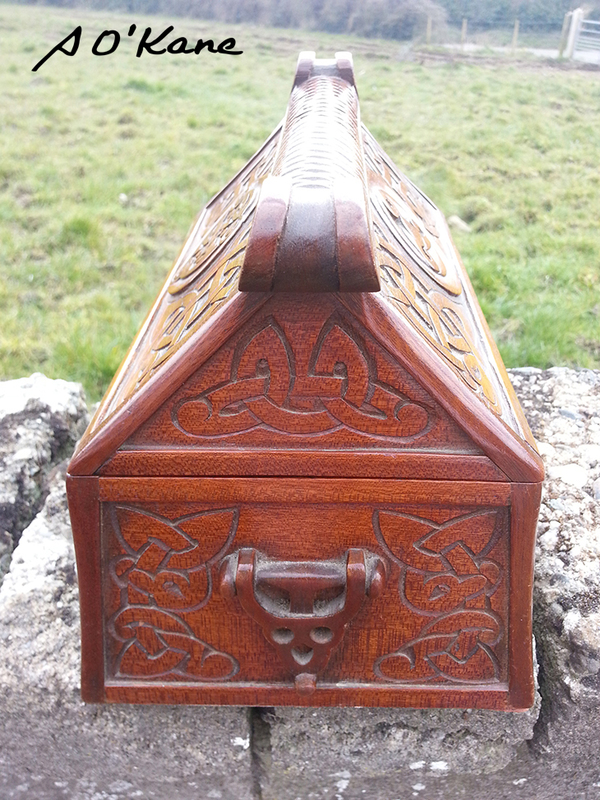 Jewellery box for Áine, carved by Seamus O'Kane. 3 of 8 photos. 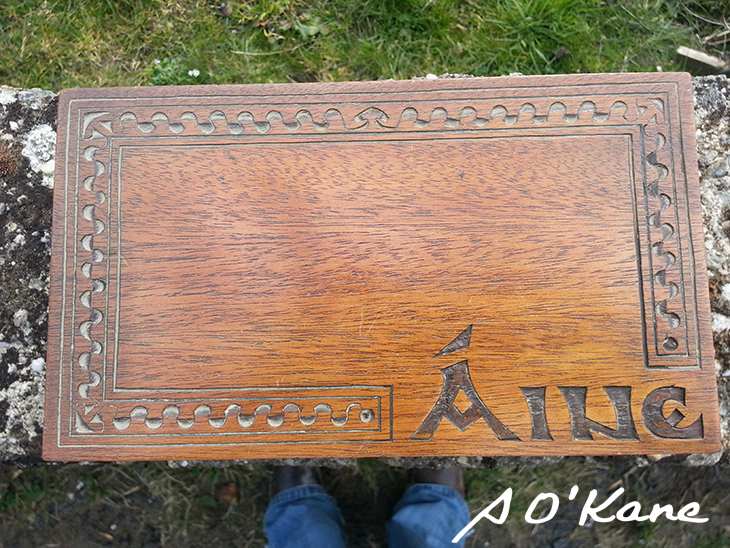 Jewellery box for Áine, carved by Seamus O'Kane. 4 of 8 photos. 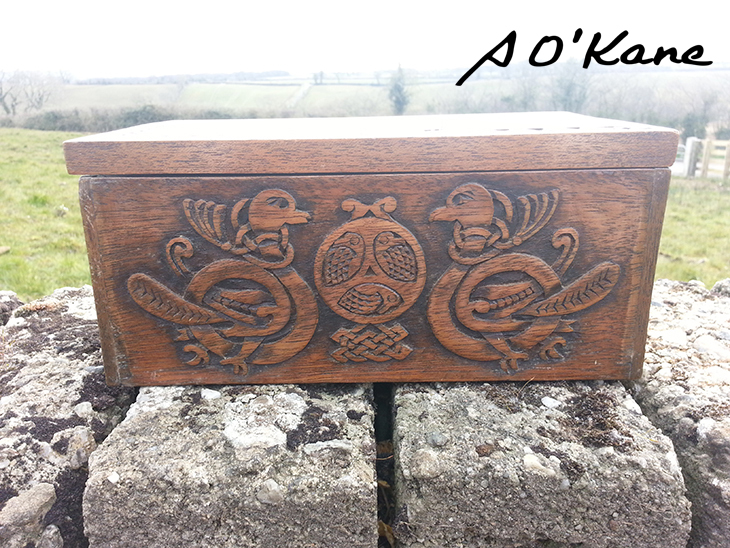 Jewellery box for Áine, carved by Seamus O'Kane. 5 of 8 photos. 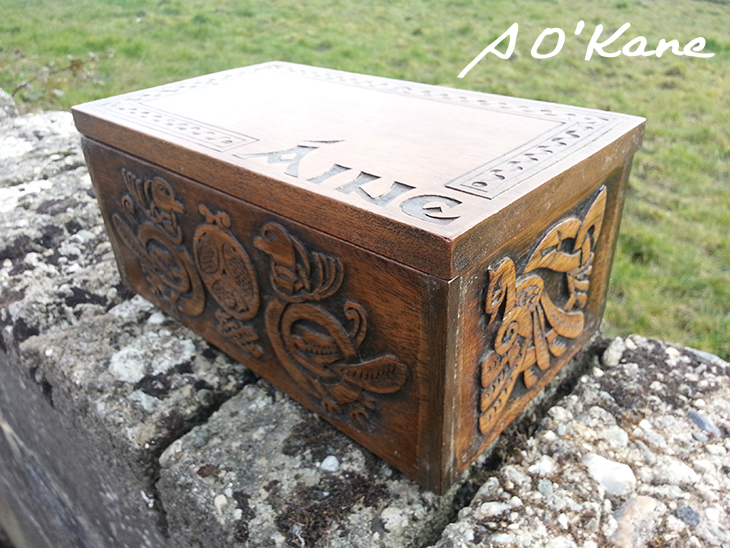 Jewellery box for Áine, carved by Seamus O'Kane. 6 of 8 photos. 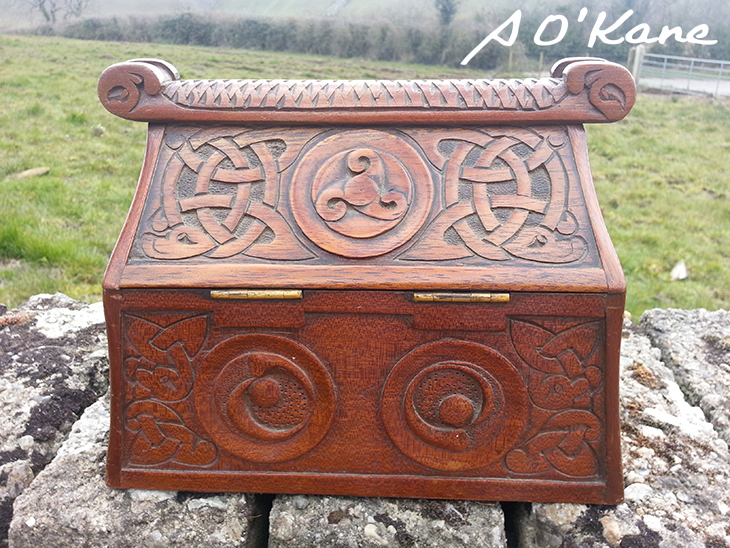 Jewellery box for Áine, carved by Seamus O'Kane. 7 of 8 photos. 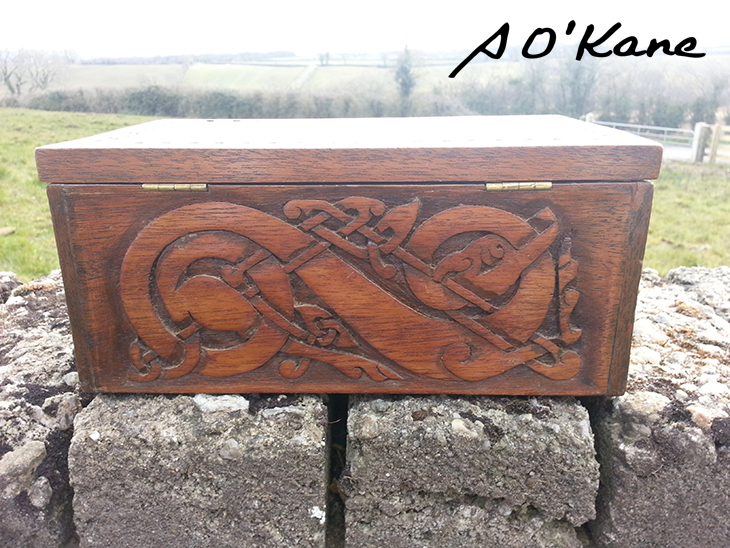 Jewellery box for Áine, carved by Seamus O'Kane. 8 of 8 photos. 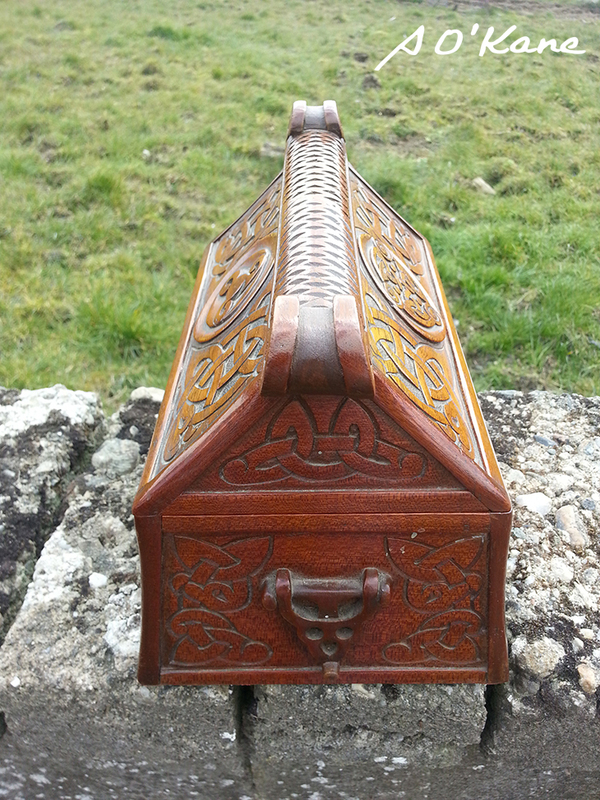 Jewellery box for Bridie, carved by Seamus O'Kane. 1 of 8 photos. 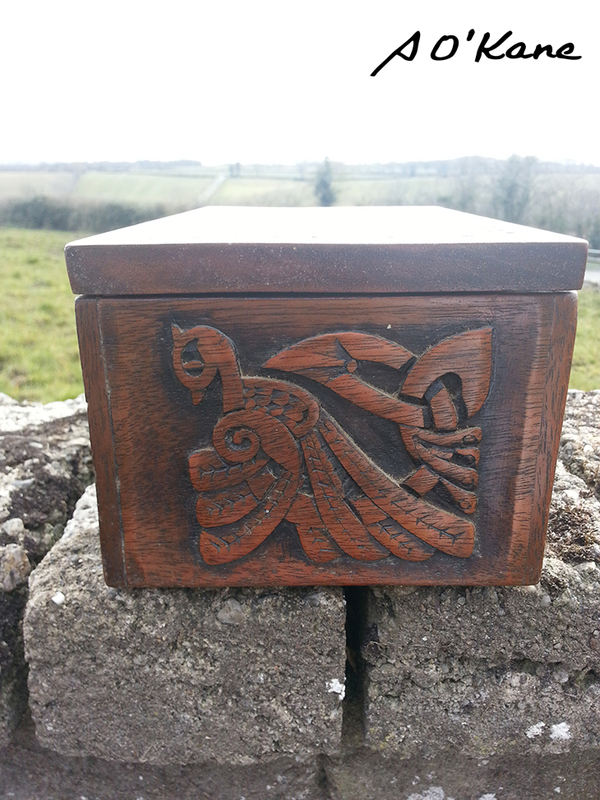 Jewellery box for Bridie, carved by Seamus O'Kane. 2 of 8 photos. 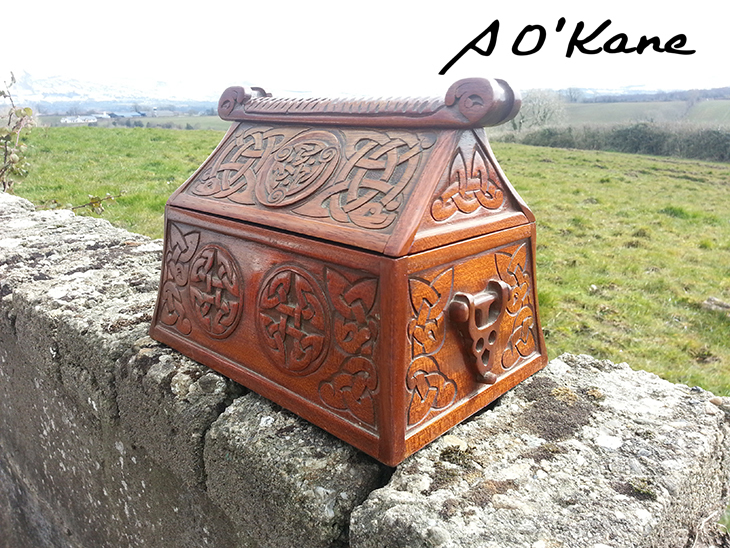 Jewellery box for Bridie, carved by Seamus O'Kane. 3 of 8 photos. 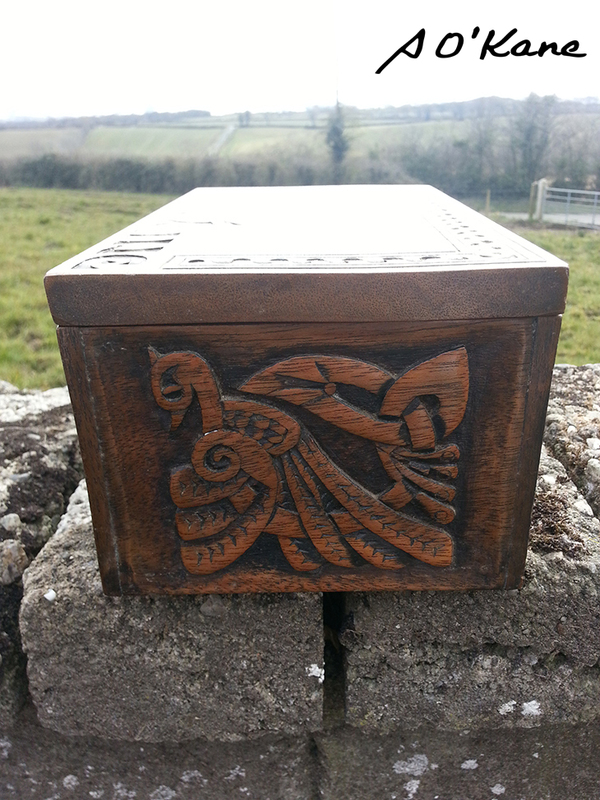 Jewellery box for Bridie, carved by Seamus O'Kane. 4 of 8 photos. 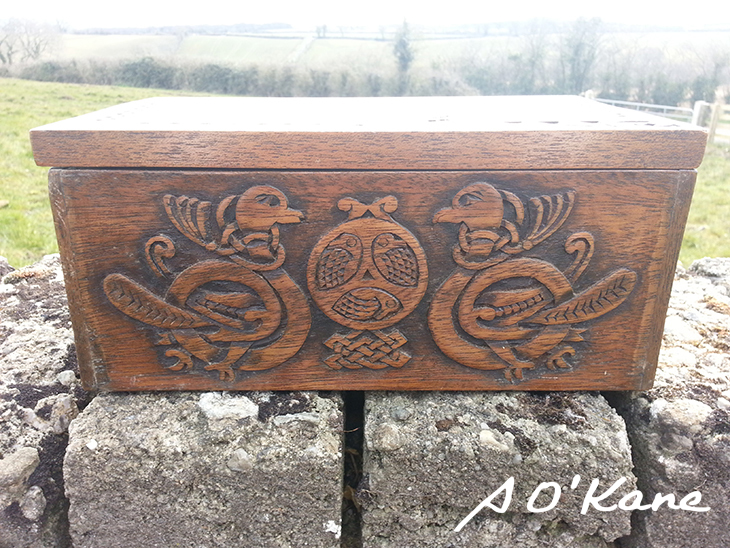 Jewellery box for Bridie, carved by Seamus O'Kane. 5 of 8 photos. 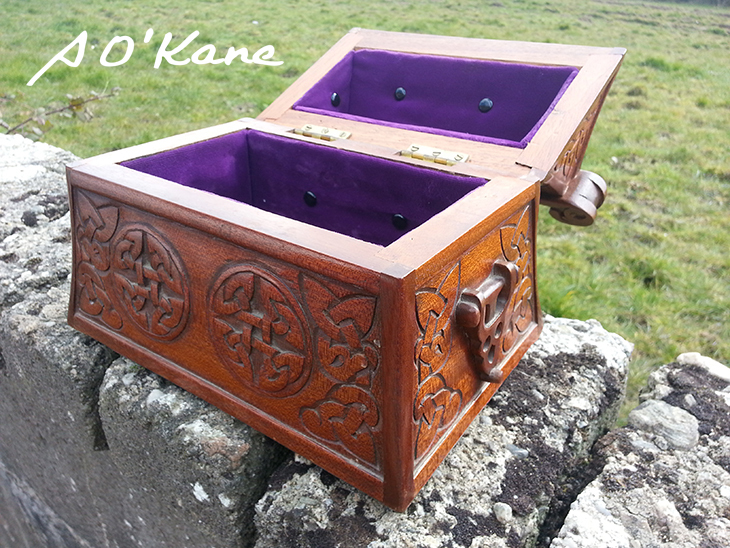 Jewellery box for Bridie, carved by Seamus O'Kane. 6 of 8 photos. 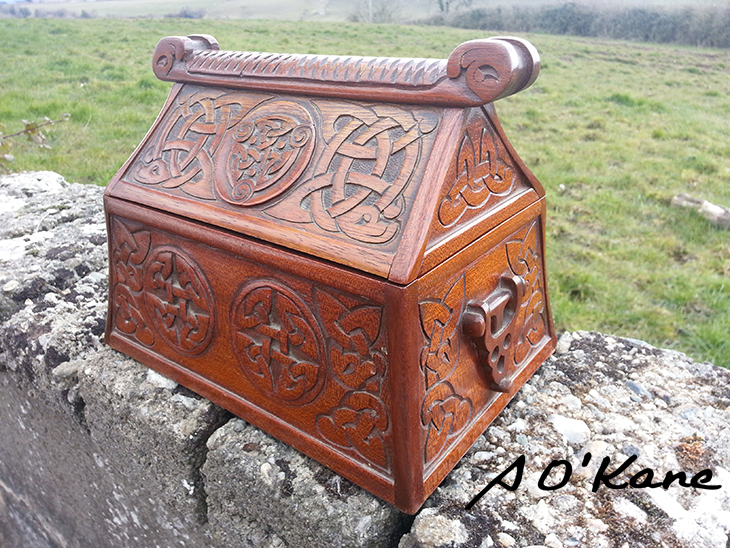 Jewellery box for Bridie, carved by Seamus O'Kane. 7 of 8 photos. 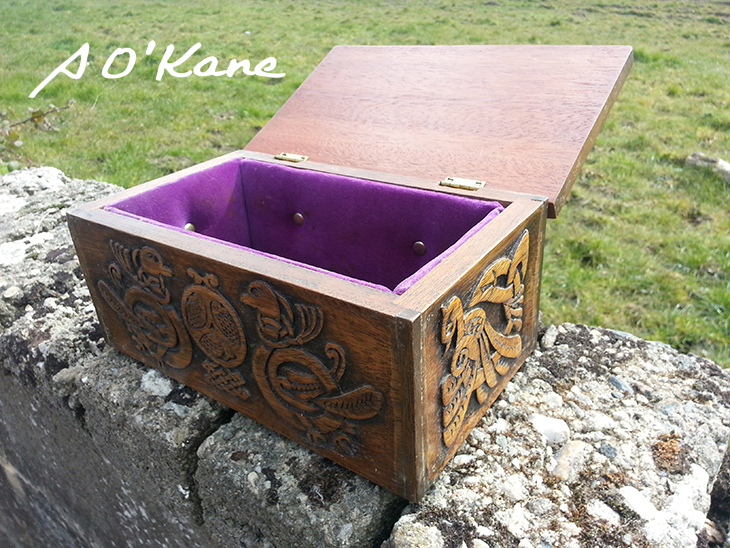 Jewellery box for Bridie, carved by Seamus O'Kane. 8 of 8 photos. 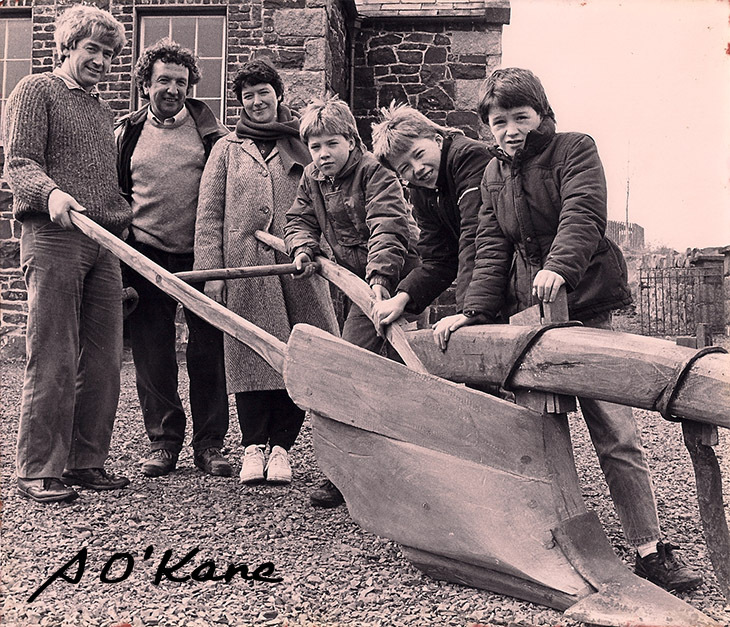 The old Irish Long Beam plough, Derry version, which was on demonstration at the Earlyriser horse ploughing championships at the Ulster Folk and Transport Museum, Cultra, County Down, made by Seamus O'Kane. 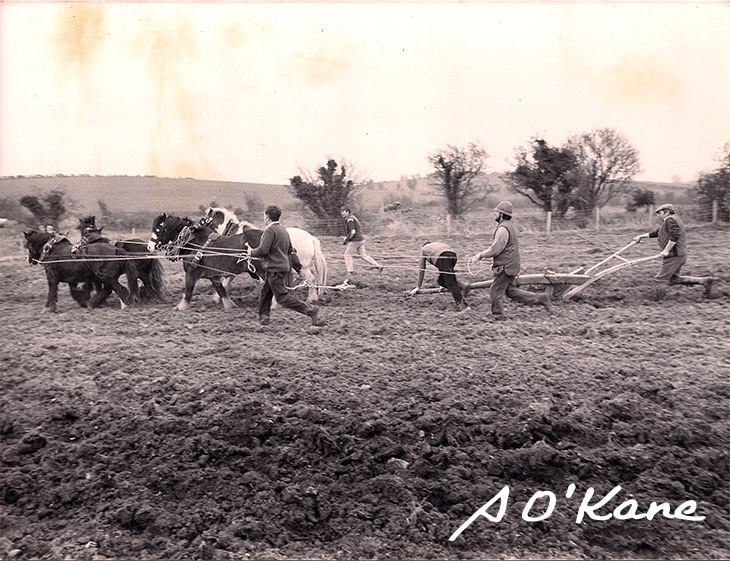 The old Irish Long Beam plough, Derry version (in action), which was on demonstration at the Earlyriser horse ploughing championships at the Ulster Folk and Transport Museum, Cultra, County Down, made by Seamus O'Kane.